Yesterday Apple revealed that its customers have now downloaded more than 50 billion applications from its iTunes App Store. The company promised a $10,000 gift card to the winner, and on Thursday it revealed the lucky draw. The winner was Brandon Ashmore, who hails from Mentor, Ohio. Ashmore downloaded "Say the Same Thing" an application developed by Space Inch, LLC. "Apple would like to thank our incredible customers and developers for topping 50 billion apps downloaded," said Eddy Cue, Apple's senior vice president of Internet Software and Services. "The App Store completely transformed how people use their mobile devices and created a thriving app ecosystem that has paid out over nine billion dollars to developers. We're absolutely floored to cross this milestone in less than five years." Apple also reminded us on Thursday that the app store opened with just 500 applications back in July 2008, a year after the original iPhone made its debut. It's now available in 155 countries and offers more than 850,000 applications, 350,000 of which are native to the iPad. Apple said the 50 billion download milestone does not include re-downloads or updates. CUPERTINO, California―May 16, 2013―Apple® today announced that customers have downloaded over 50 billion apps* from the revolutionary App Store℠. 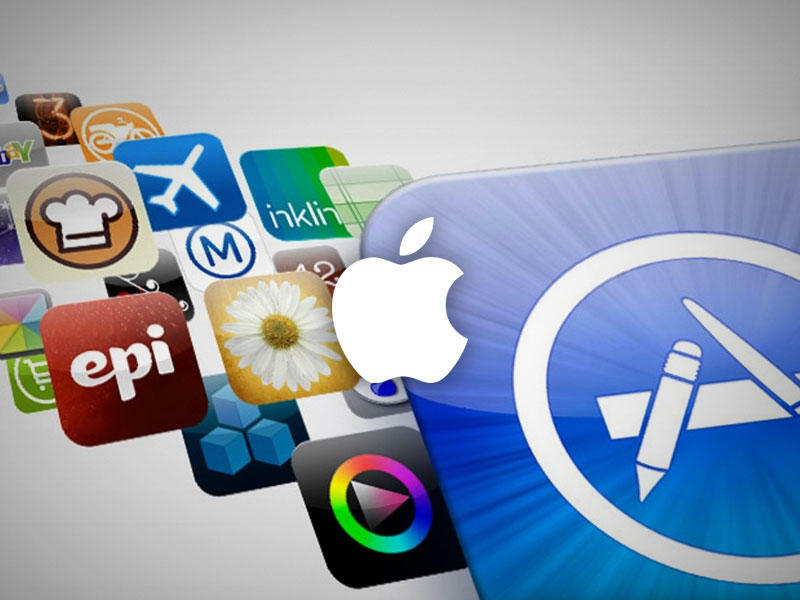 Customers are downloading more than 800 apps per second at a rate of over two billion apps per month on the App Store. The 50 billionth app was Say the Same Thing by Space Inch, LLC, which was downloaded by Brandon Ashmore from Mentor, Ohio who received a $10,000 App Store Gift Card to commemorate this historic milestone. The App Store opened in July 2008 with 500 apps. Since its introduction, Apple's incredible developer community has created an app for doing almost everything imaginable on an iPhone®, iPad® and iPod touch®. "We were blown away with our success on the App Store back in 2008," said Rich Riley, CEO of Shazam. "And almost five years later we continue to be amazed with how much people love using Shazam on their iPhone or iPad. With the App Store, we can effortlessly provide users with updates that give them great new features while making it easy for new users to discover and download Shazam for themselves." "We started our company in 2008 as three friends focused on creating great educational apps for our children," said Caroline Hu Flexer, co-founder of Duck Duck Moose. "The App Store brought 'Wheels on the Bus' to the world in a big way. Sixteen apps later, a fan base of millions of parents, children and educators and a growing company with 20 full-time employees, we couldn't be happier with our success."